On a brisk Friday night 80 mamas (and some not-yet mamas!) got dolled up and braved the cobblestone streets in stilettos for a night out at Maris DeHart. The bubbly (the good stuff!) was free flowing and so was the girl talk. Just like me-- so many ladies were there to explore new friendships and connect. Coming from someone that immediately changes into pajamas after work and a rockin' Friday night is Netflix with a bowl of cereal, this did require some effort for me to be out on a Friday night. I'm seriously that meme "I'm so busy this weekend", and then "Me at 8pm on Friday night"-- the image of the dog in bed with a shower cap on. Legit! I did, however, make a conscious decision earlier this year to get out more, invest in people, and find my tribe. This can be hard when it's so much easier to opt out. It requires effort and energy to powder your nose and pull up those Spanx to head out to meet new people. Can I get an Amen?!! BUT-- awesome ladies aren't going to arrive on my doorstep begging to be friends. I have to go out and FIND them. I had met Gervase a few times, and I really went to support her and see what this whole "society" was all about. Boy did I hit the jackpot! In one word, the evening was "magic." Gervase has created a judgment-free environment with welcoming smiles, a pretty backdrop and plenty of bubbly. 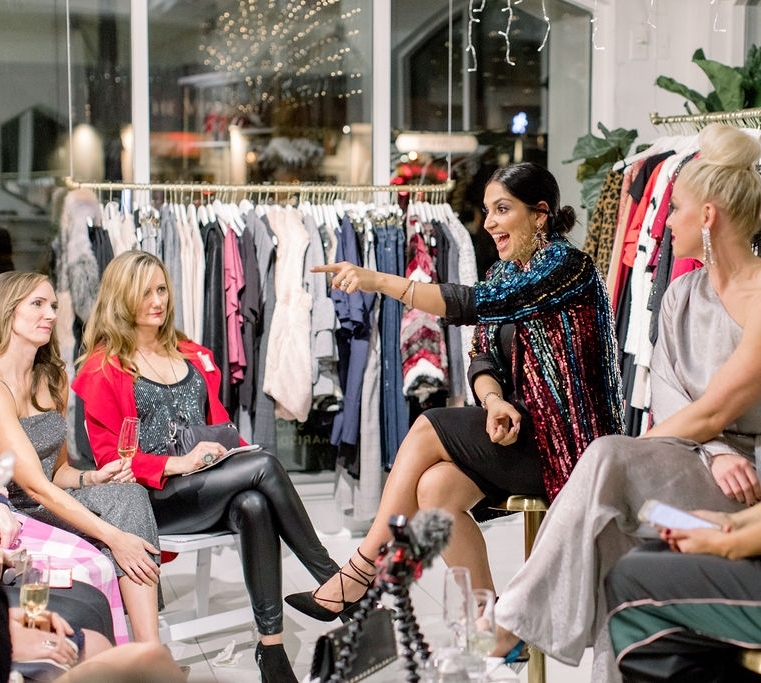 We heard truths from Savannah Guss, the fabulously chic founder of @bohoandbows, and Leva Bonaparte, developer extraordinaire of @bourbonnbubbles. These ladies gave it to us straight! I loved hearing their stories about transitioning from Chief Pooper Scooper in the town of Momdom to following their dreams. We've all been there, and I love hearing reinforcement that we're not alone. Though my "littles" are now 9, 10 and 12—I still struggle with being the best CEO, best wife, best Mom—you name it! It's a daily challenge that I don't always get right. When the kids were younger, I used to default to the fact that they don't come with an instruction manual. Maybe they won't know if I screw it up as they have no one to compare me to! Right?!! #2 resonated with me the most as what I do for a living is all about beautiful objects and perfect images. It can feel very superficial and drive a need for perfection. I legit like want to get a t-shirt that says “#halfass is the new #badass”! Because in reality the only pressure on me is the pressure I put on myself. It's like that movie Picture Perfect with Jennifer Aniston-- "Gulden's Mustard....Number 2, and that ain't bad"! I might be aging myself, but you 40-somethings know what I'm talking about!! You know how some events you go to, and you think "this was a waste of a good outfit"? Well, not in this case! This first time "society member" left feeling joyful, content, and excited about some new friendships. I even left with a bag loaded down with the most ADORABLE ornaments from Maris DeHart. It was totally worth all of the effort and energy it took to get there. Because in the end, all of us mamas are worth it, don't you think?! So in channeling my inner Gervase, “that's what J said! JULIANNE TAYLOR STYLE IS A LIFESTYLE BRAND WITH LICENSED COLLECTIONS THROUGH MITCHELL BLACK AND OLIVER GAL. Follow Julianne on IG. 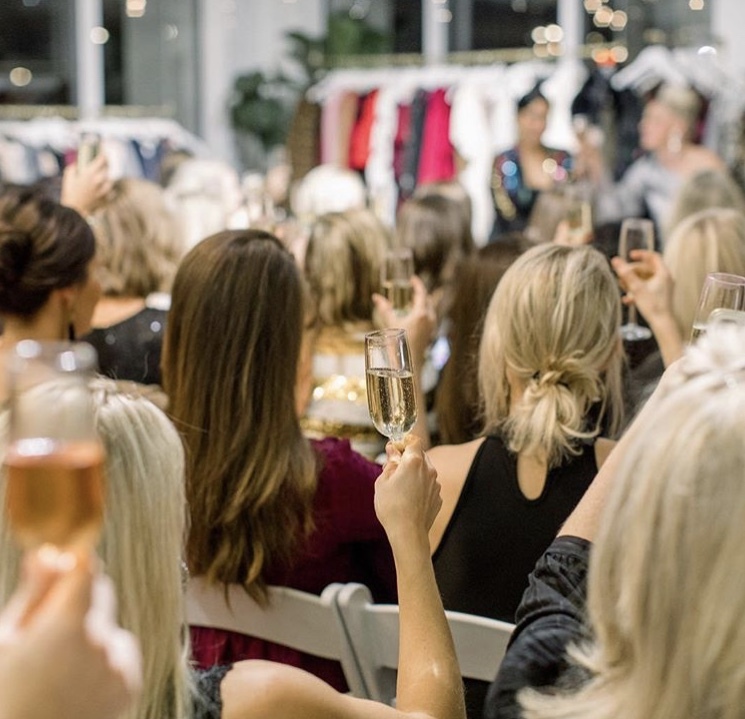 A super heartfelt thanks to our host, Maris DeHart, and all of our incredible sponsors: Teacups and Trucks, Shannon Olesak (who takes all our fabulous photos), Snyder Events, Ash and Vine Botanicals, and Bourbon N’ Bubbles, the hosts of our fantastic afterparty. Wanna be in the know and have FIRST DIBS on #ChampagneSocietyCHS tickets? Opt in to the Insider Email List. FOMO? Can’t be in the room but need to get in on the fun? 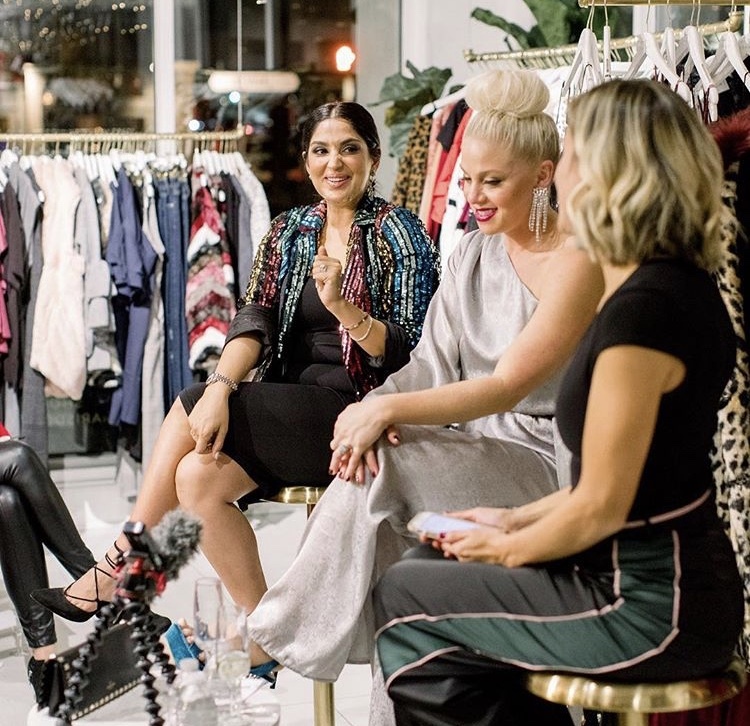 Holiday-edition ANNUAL VIRTUAL VIEWING PASSES available through January 1st so you can still get in on all the #truthbombs! There are only 20 of these limited viewing passes and this offer expires in 2019. Gift a tribe to a mother who needs a night off.